It remains well-prepared to conduct a hybrid warfare intervention in the Baltics similar to what they did in Ukraine after the Maidan Revolution. US leaders and their European allies are unprepared for the ways in which Russia's President Vladimir Putin is poised to wage war in Ukraine and the Baltic, according to a report by the Institute of the Study of War. The document is entitled "Russia's military posture: ground forces order of battle". 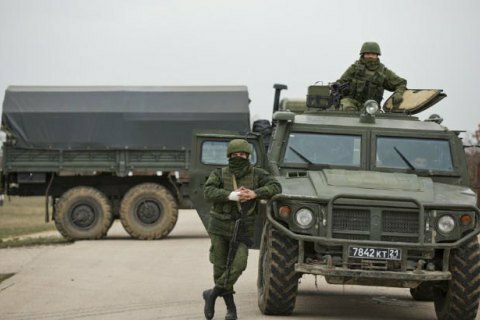 "The Russian military is well positioned to launch a short-notice conventional war in Ukraine and a hybrid war in the Baltic States, the opposite of what Western leaders seem to expect in each theater," the study reads. "NATO leaders increasingly warn of the threat of a conventional invasion of the Baltic States (or even Western Europe). But Russian ground forces are not deployed or organized to initiate a short-notice conventional war in that region. They have, however, redeployed and reorganized since 2014 in a way that would support a rapid mechanized invasion of Ukraine from both north and east, while remaining well-prepared to conduct a hybrid warfare intervention in the Baltics similar to what they did in Ukraine after the Maidan Revolution," it further reads. The study calls on the United States and its partners to re-evaluate the most likely Russian courses of action and reconsider the mix of military and non-military tools required to defend NATO allies and Ukraine from potential Russian aggression.